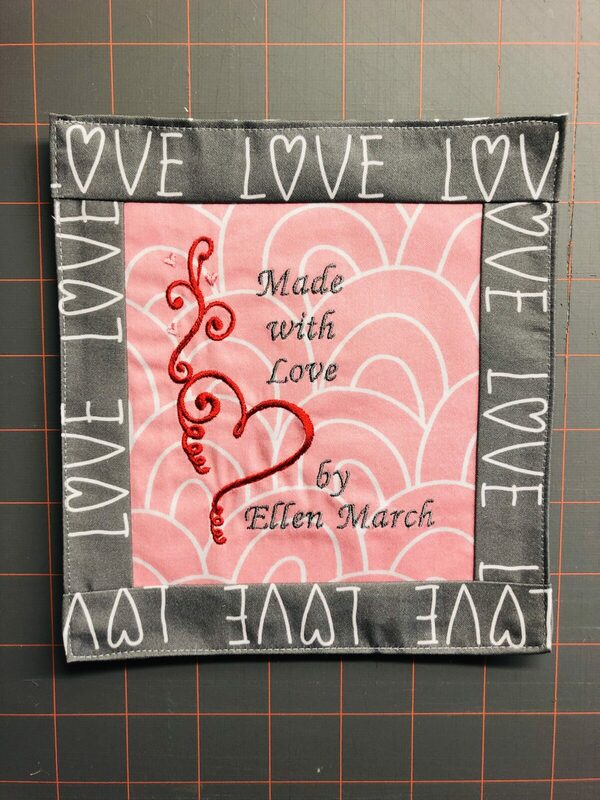 Adding a quilt label to a quilt gift is a great way to add a personal touch and provide information to future generations. 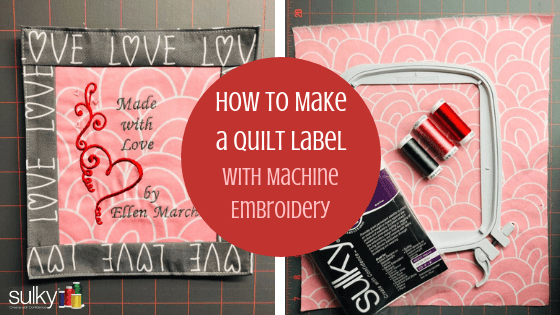 If you’ve wanted to learn how to make a quilt label, first decide on the design. 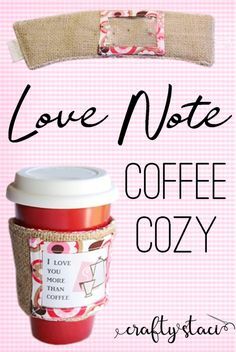 Add just a name, a message or simply a design with initials. Make the label as big or as small as you like. I always add a quilt label after the construction is complete. 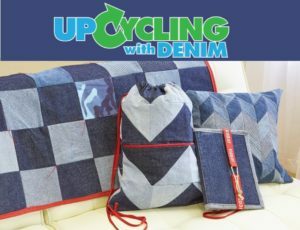 I hand stitch it to the back of the quilt along the lower-left corner. 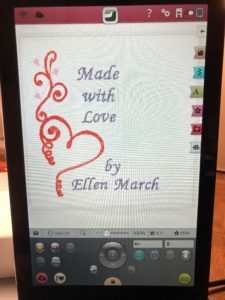 I didn’t intend to have a “signature quilt label” when I made my first one, but the location has become my signature and makes my work more identifiable. Decide the location of your label first, and then determine its size and design. 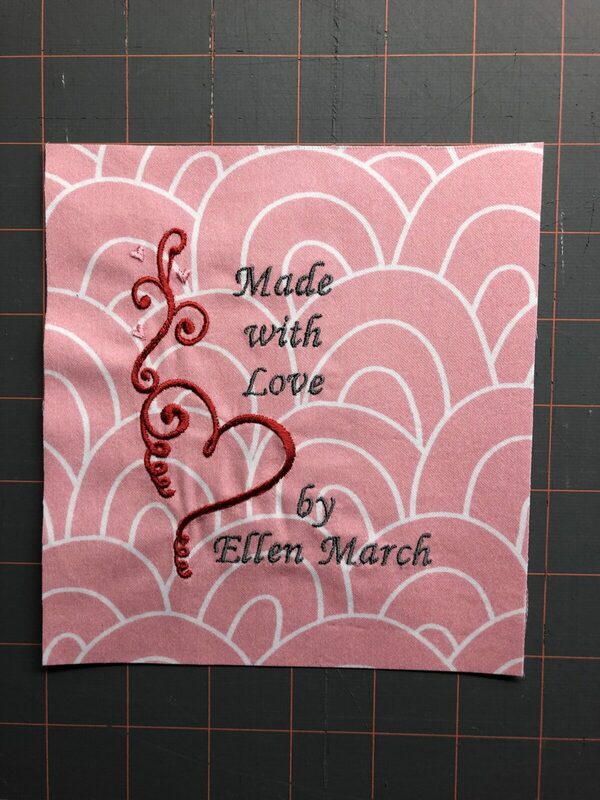 This quilt label measures 6 ½” x 7”. 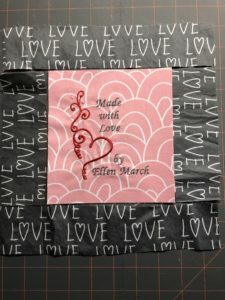 The fabric is custom printed from Spoonflower and coordinates with the Sulky I Heart You Quilt pattern. 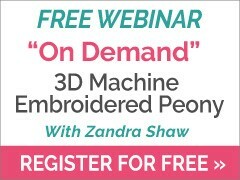 Load the design onto the machine. Use the machine editing functions to resize, move or otherwise alter the design as desired. 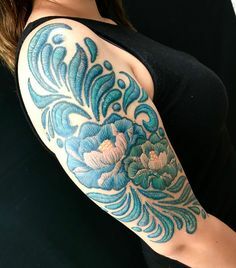 Add a name, message or initials beside the design, above or below it. 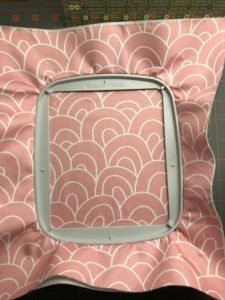 When satisfied with the design and placement of motifs within the hoop on the machine screen, group the designs and save your work. 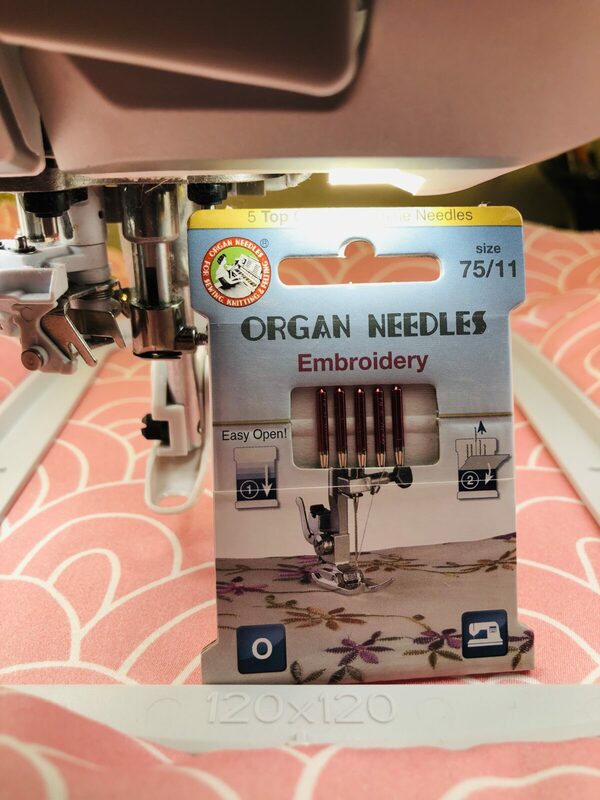 Choose a fabric scrap for the quilt-label center, making sure it’s large enough for the chosen embroidery design to fit, including seam allowances. 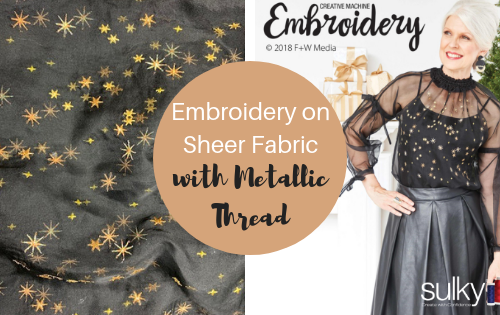 If the fabric is large enough to hoop, layer it with Tear-Easy stabilizer in the hoop. 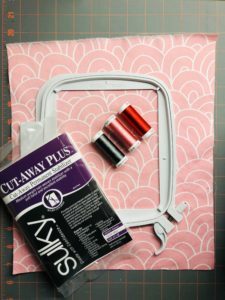 If it’s too small to hoop, use Sulky Sticky+, a self-adhesive tear-away stabilizer on a paper-release sheet, and then place the fabric right side up over the hooped sticky stabilizer. Place the hoop onto the machine. 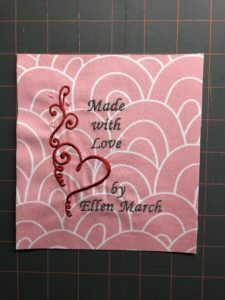 Then embroider the design using 40 wt rayon thread and an embroidery needle. 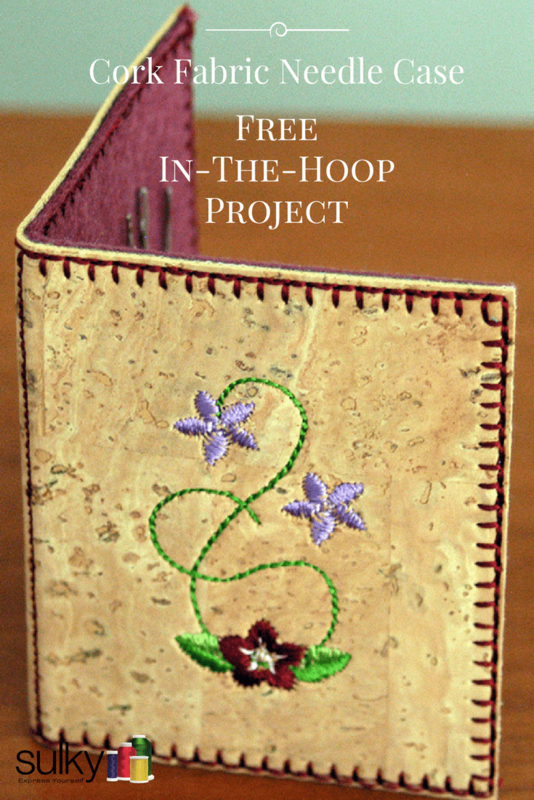 After the embroidery is complete, remove the work from the hoop. Gently remove the stabilizer from the design wrong side. Press the work from the wrong side, without steam. Trim the fabric to the desired size. 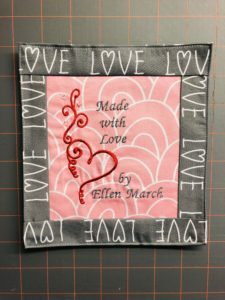 The featured quilt label center measured 5 ¾” x 6 ¼”. 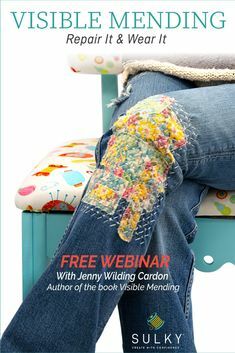 Choose a fabric scrap to use for the quilt-label border. 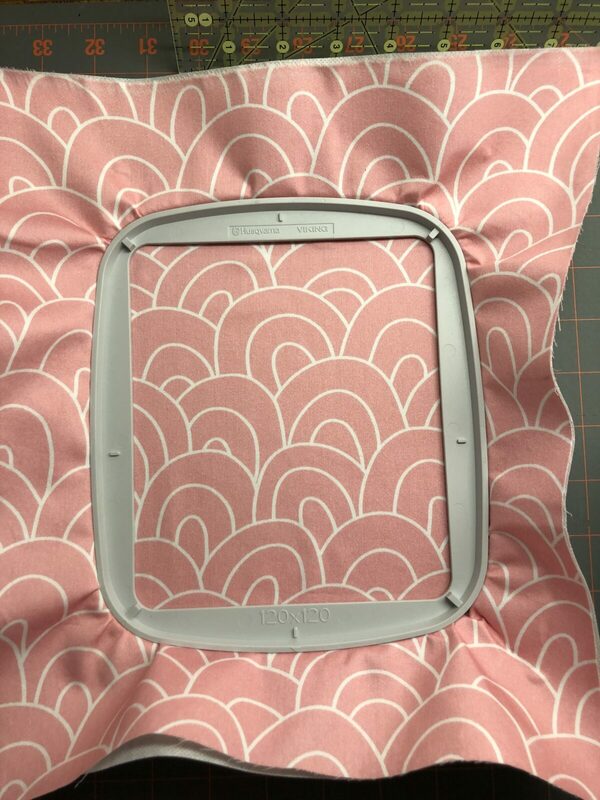 Cut 2”-wide strips long enough to cover the center-rectangle edges, including ½” seam allowances. 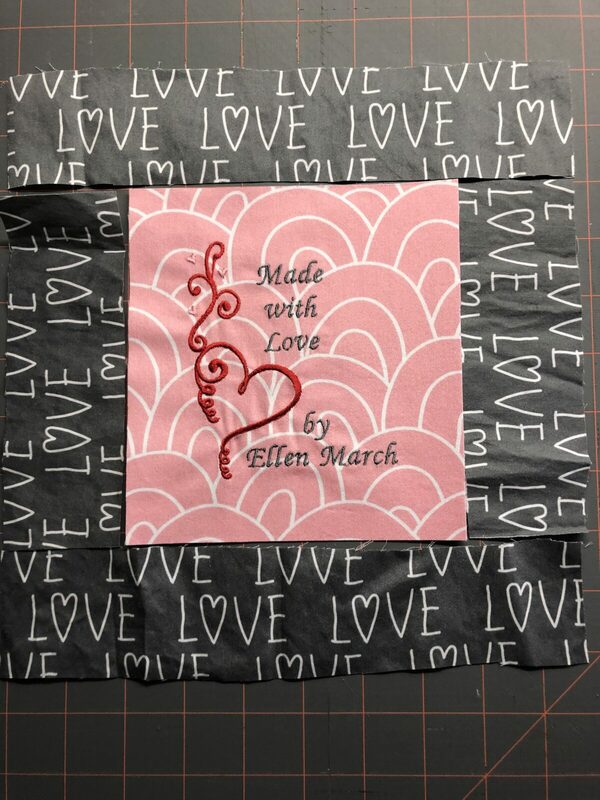 Stitch a strip to each center-rectangle side; press the seam toward the darker fabric. Stitch a strip to the center-rectangle upper and lower edge; press the seam toward the darker fabric. Then fold the raw strip edges ½” toward the wrong side; press. 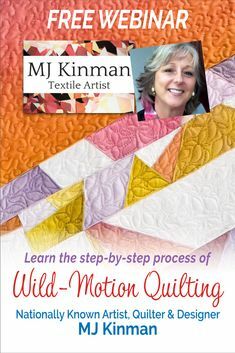 Fold the corners at an angle before folding toward the wrong side to ensure the raw corners are concealed. 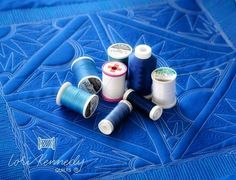 Using a universal needle and coordinating thread, edgestitch the quilt-label perimeter. Lastly, position the quilt label as desired on the quilt back. Hand sew the label to the quilt, using an invisible slipstitch or ladder stitch. Use to do this all the time on jackets I made. 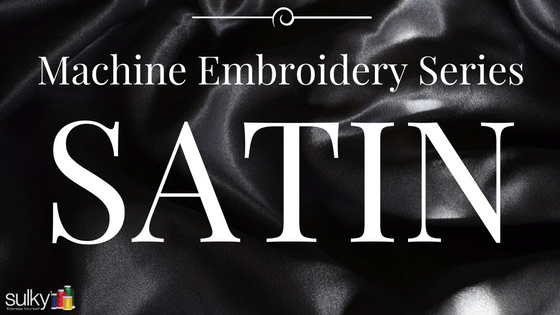 I would choose an embroidery design that matched what I chose for the jacket. I also would embroider the month and year it was done.